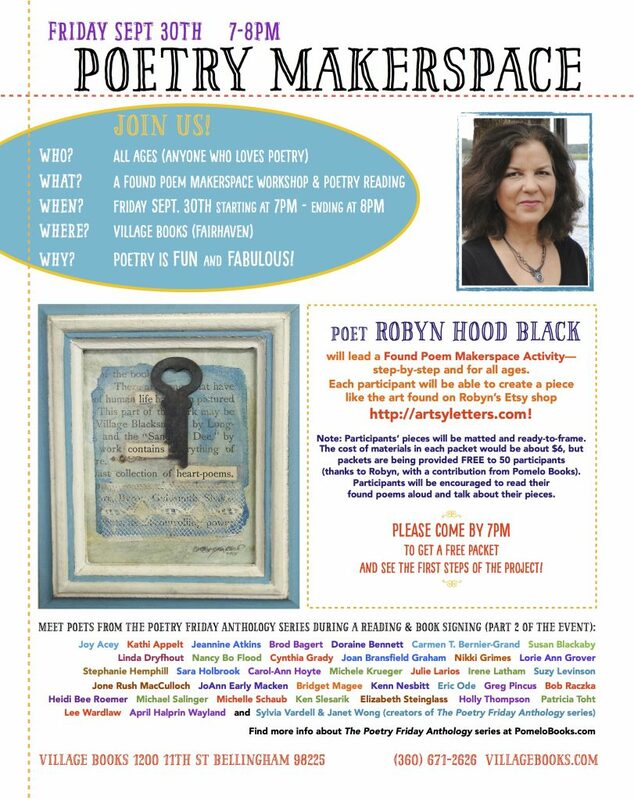 This entry was posted in Uncategorized and tagged artsyletters, found poem, Found Poetry, Makerspace, mixed media, poetry, Pomelo Books, Robyn Hood Black, Village Books Bellingham, workshops by artsyletters. Bookmark the permalink. Another wonderful trip! Have a great time, Robyn. I know they’ll love being with you and learning, too. Thanks, Linda – I can’t believe I get to be around so many inspiring folks within a space of a couple of weeks!